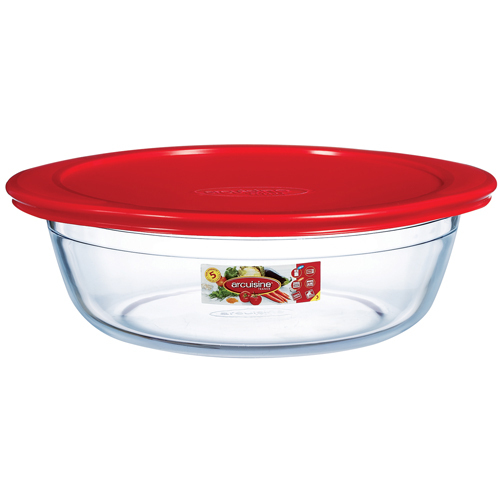 Arcuisine Borosilicate Glass Round dish with plastic lid 10 in. 78 oz. Home > In the Kitchen > Bakeware: Baking Pans, Baking Dishes, Casseroles > Acuisine Borosilicate Cook and Store Dishes with Lids > Arcuisine Borosilicate Glass Round dish with plastic lid 10 in. 78 oz.